Wesley Turner, a former inmate at Lanesboro Correctional Institution, was stabbed to death in a 2012 prison fight. Investigators and lawyers believe a prison manager knew the attack was coming and did nothing to stop it. CHUCK LIDDY / CHARLOTTE OBSERVER (Caption from WUNC). The Civil Litigation Clinic here at NCCU School of Law gets several letters from incarcerated individuals. They detail the horrific experiences that they face on a weekly basis at the hands of guards and other prisoners—beatings, stabbings, and even denial of the accommodations required by the Americans with Disabilities Act. They often recount stories in which prison guards knew that they were in danger, but did nothing to prevent the harm from occurring. The Eighth Amendment of the United States Constitution provides the right of the people to be free from cruel and unusual punishment. That includes the incarcerated. In the 1994 case Farmer v. Brennan, the US Supreme Court determined that “deliberate indifference” by correctional officers was a direct violation of the Eighth Amendment. Deliberate indifference is the conscious or reckless disregard of the consequences of one's acts or omissions. In the context of prisons, deliberate indifference occurs when prison officials fail to act in a manner that protects inmates from substantial risk of serious harm. This most often manifests when guards and prison officials do not properly train staff, fail to report or properly report incidents, and fail to take appropriate action when inmates are at risk of harm. A common thread seen in the many letters received by NCCU’s legal clinic involves prison guards that both overstep their boundaries and act negligently in exercising their duty to provide a safe environment. Guards are tasked with a difficult duty of keeping inmates safe while also maintaining personal safety and fighting internal corruption. Those interests conflict when the guard is not able to prioritize and balance them all. The complaints that guards use excessive force when handcuffing and handling people, which leads to serious injuries, are far too common. Not only are the prisoners physical safety at risk, but there are growing concerns for those that suffer from mental health issues. For some prisoners, access to mental health care is not a priority at the facilities they’re housed in. 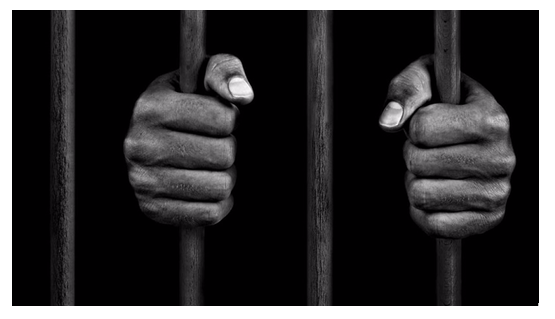 Instead of dealing with risky behavior in a manner that directly addresses the mental disorder causing it, inmates are often ostracised in solitary confinement as punishment, further damaging the mental state of the inmate. As an attorney with a background in social work, it saddens me to see how inmates with mental health issues are treated in NC prisons. Instead of being provided the care and services they need, many inmates with mental health issues are placed in segregation, commonly known as solitary confinement, sometimes for extremely long periods of time. As a result of being placed in segregation for long periods of time, an inmate’s mental health worsens. Segregation is difficult for inmates who do not suffer from mental health issues. [I]magine the toll it takes on inmates who suffer from a mental illness! Just the other day, I was informed by an inmate’s brother that the inmate had been placed in segregation for almost a year. As a result of being in segregation for such a long period of time, the inmate’s condition had gotten significantly worse. Inmates deserve adequate care to meet their physical AND psychological needs. Despite the decisions they have made, inmates are still human beings and deserve to be treated as such. While it is safe to say that incarcerated individuals cannot expect to live a luxurious life inside of prison, this does not negate the fact that they deserve basic human decency in their living space. Here in North Carolina, Lanesboro Correctional Institutions is plagued with violence and administrative negligence. In 2012, a group of gang-affiliated inmates stabbed another inmate to death. In the fall of 2013, a female correctional officer was nearly killed when an inmate slashed her throat. More recently, an inmate was stabbed twice with a kitchen knife, in his back while trying to escape an attack from gang members. NCCU’s legal clinic is currently representing five former inmates who were stabbed inside the prison. The attacks were levied by these victims’ fellow inmates. However, it was later determined that the attacks were supported by several of the prison guards. One guard was fired when bloody knives and shanks were discovered inside the ceiling of his office. It was also discovered that officers provided certain gang members access to the victim’s cells, directly resulting in several stabbings. While there are some external resources for inmates from organizations like All of Us or None, NC Prisoner Legal Services, NC Legal Aid, and law school clinics like ours, incarcerated individuals must jump several hurdles before taking legal action. They must file the appropriate grievances in accordance with the prison guidelines. After following the necessary steps, many inmates write letters in hopes of getting help. Unfortunately, the workload of many non-profits and clinics is so full that they have to decline many of the cases. One of the current cases that the Clinic is working on involves a male prisoner at the Bertie Correctional Institute. The Maroons has chosen to omit any mention of this individual’s name, as to protect his anonymity while litigation is pending. On a recent visit to the facility, this individual expressed how fearful he is each and every day that he will be attacked by staff or other inmates. This individual went on to say that the prisoners are in control—not the staff. He vividly described the 2017 murder of Sgt. Meggan Callahan, a Bertie Corrections Officer, adding that he and several other inmates watched as she was beaten to the death with a fire extinguisher by another inmate. No officers or guards came to her rescue, despite several warnings and the sounding of the prison alarms. He also expressed his concerns over the continuous peril that he and other inmates are placed in each day. “To continue to allow this type of abuse, negligence, and excessive force to go unpunished,” he said, “is to state that we are nothing more than animals who have no rights to be treated humanely because of the mistakes that may or may not have landed us in prison.” Yet, the dangers persist, entirely out of view of our common knowledge. No one can deny that our criminal justice system is in dire need of reform. On a community level, we can start by changing the narrative. We can begin by shifting the way in which we view incarcerated people. We must stretch our minds to see all people as people despite their mistakes and circumstances, who deserve to be treated humanely. Serenity Hargrove performs In(formation), a spoken word poem at a Black Lives Matter protest in downtown Durham on July 8, 2016. Photo by Rachel Chang. With all of the recent instances of injustice occurring around the nation, we have seen masses of people turning out into the streets and sidewalks, plazas and public parks—all to exercise their fundamental, constitutional right to protest. The Unites States Constitution grants each of us the right to peaceably assemble. For centuries, brave individuals have come together to express opposition for injustice in all of its forms, a right that must continue to be preserved. Several Republican legislators have also assembled in their own right to limit and, in some instances, prohibit this right. Recently, there have been several bills introduced that try to limit the rights that people have when they exercise their first amendment rights. Last year, the governor of South Dakota signed a bill that capped the number of people who can gather in a public space to 20 people. Legislators in Minnesota introduced a bill that would allow organizers to be sued for the cost of law enforcement present to police their protests. 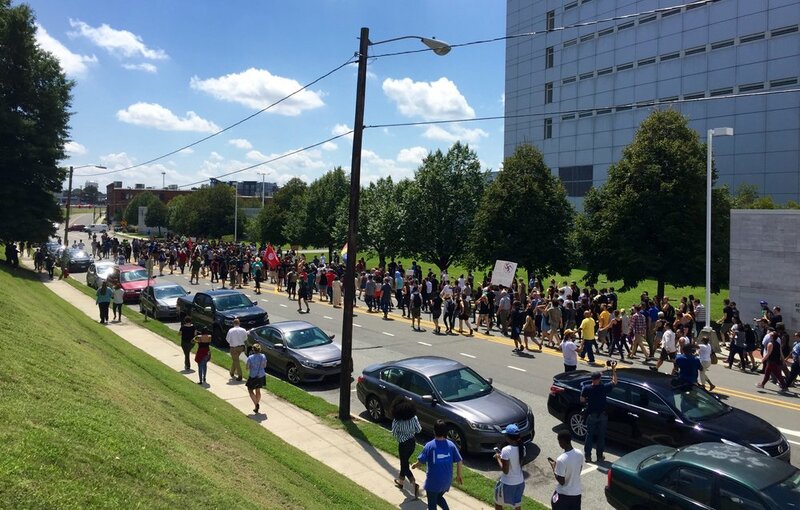 Here in North Carolina, our House of Representatives passed a bill that would protect drivers who may hit protesters, if the protestors have illegally or otherwise blocked a public roadway, from civil lawsuits to collect damages. Ordinarily, a pedestrian or other person who is hit by a car may be able to seek damages—money for injuries, hospital bills and treatment, lost wages, etc.—from the driver or the car. This is done by filing a civil lawsuit. House Bill 330 creates an exception to this ability. Under the new law, drivers cannot not be held civilly liable if or when they hit a protestor, so long as they were exercising due care while driving. House Bill 330 was passed in the House on April 27, 2017. The bill is presently in the hands of a Senate sub-committee, where it will remain until the next legislative session. This means that it has not officially been passed as a law. However, the issue may be brought back up when the General Assembly meets in 2018. Lawmakers across the nation have also created bills that make harsher punishments for those who are arrested at protests. Several states have introduced legislation that would make it a misdemeanor to block public highways and streets while protesting. Misdemeanors can carry up to one year in jail and have associated fines ranging from ten or twenty dollars to hundreds of dollars in court costs, penalties and associated fees. Students on college campuses have always been very vocal and active. With concerns that this activism will disrupt educational settings, administrators at many universities across the nation are creating “free-speech zones” on their campuses. Such zones are intended to be used for demonstrations and the exercise of First Amendment activity, which sounds fine at first. However, this poses as an issue for many who feel that the entire campus should be a free-speech zone in which they can exercise their rights wherever they desire. The important take away for those who do wish to engage in demonstrations is that at the core of Constitution lies the right to gather in a peaceful manner for any cause one sees fit. Public assembly is a bedrock principle, both in our democratic existence and our social history. If it was not so important, people would not be actively trying to oppress this right. You have a right to exercise free speech, even if it is controversial, in public forums such as sidewalks, streets, and public parks. There are some places that require you to have a permit in order demonstrate. Check your local ordinances for the application information. You ABSOLUTELY have a right to take photos or videos while on public property. You are not required to turn those videos or photos over to law enforcement if they don’t have a warrant or other court order. Officers can stop all activities that are interfering with legitimate law enforcement operations. Counterprotestors march in anticipation of a KKK rally on Friday, August 18, 2017. This shot is overlooking Pettigrew Street, in front of the jail. Photo by Kyle Sherard.